Fri., May 4, 2018, 8:23 a.m.
A GRIP ON SPORTS • If you love puns, and space fantasy movies, today is special. May the fourth be with you. If you love baseball, today is also special. Read on. • When an exceptional athlete decides to call it a day, or a career if you prefer, the first inclination is to look back on his or her time competing for us. Sometimes, the fall a baseball player takes at the end of his career – case in point, literally, Willie Mays – overshadows how great he was during his prime. In Ichiro’s case, those of us who started watching him when he came to the M’s in 2001, may not have actually witnessed his true prime. 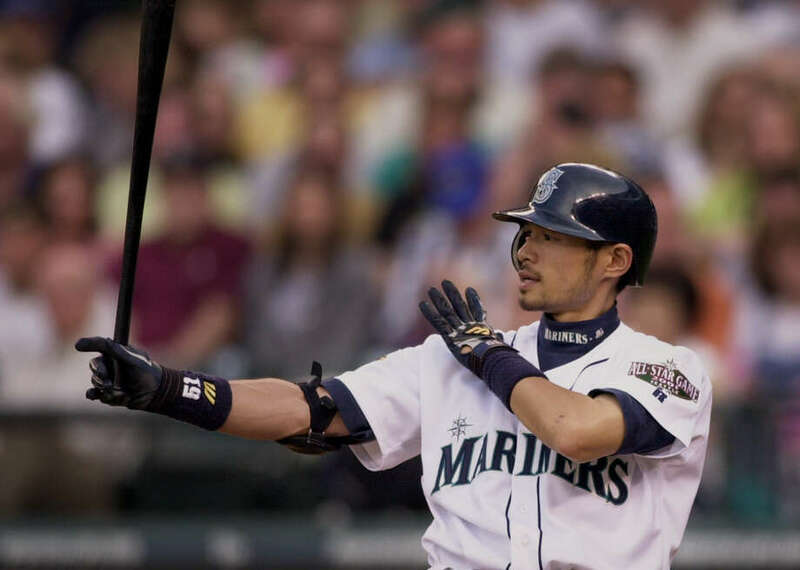 The strong-armed rightfielder came to Seattle as a 27-year-old veteran that magical season, showing from the first series all the stories we had heard about his abilities in Japan were not fables, but reality. He was, no disrespect meant to Edgar Martinez, Ken Griffey or Alex Rodriguez, the best pure hitter the M’s have ever had. Geez, the man had 10 consecutive seasons of 200 or more hits. He set a major league record with 262 in 2004. He led the American League in hits seven times, including five consecutive seasons. He hit .372, .352, .351 and .350 in a Mariner uniform. Those four years are all in the top six all-time for Seattle. He was a hitting machine, even if his name didn’t lend itself to a nice ditty as it does for Jean Segura. Only one player in baseball history, Pete Rose, produced more hits after turning 27 than Ichiro. He’s a sure fire Hall of Fame player and will go in wearing a Mariner cap. And it is still OK to be happy he will no longer be taking up a roster spot, despite the odd way the organization is handling this goodbye. Ichiro at 44 is not Ichiro at 27. Or even 34 for that matter. Father Time has won again, despite all the stretching and zen reflections or whatever it is Ichiro has done next to the batter’s box all these years. This is a change-up even he couldn’t slap to left field. So he’ll step away, professing the belief he may still play again in the future – is he reading that book, “Younger Next Year,” or something? – and become what basically is a walking statue proclaiming his place in Mariner history. 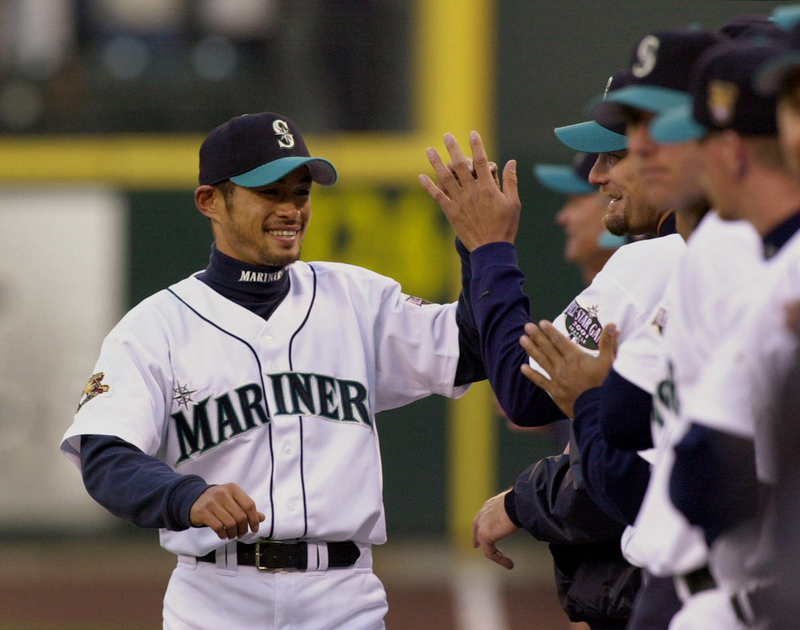 Let’s hope this convoluted season-long tribute doesn’t get in the way of the M’s pursuit of something that Ichiro’s teams only did twice in his career: making the postseason. WSU: Most any other day, the news from the Regents’ meeting concerning the athletic department’s finances would have been the lead item to this column. But Ichiro can overshadow even such financial oddities. Jim Allen was at the Regents’ meeting yesterday and has this story. The financial questions were covered by many news outlets, including in Nebraska, where former athletic director Bill Moos defended his tenure. … Speaking of money, the Pac-12 announced yesterday it is distributing almost $31 million to each school. It’s a record but still less than other Power Five conferences. … Theo Lawson avoided financial mentions in his ranking of next year’s football schedule. … Elsewhere in the Pac-12, the money distribution is a big deal to just about every school. … So is the quarterback position. … All is well. That would be my summary of Larry Scott’s most recent statements. … We finish with Todd McNair’s testimony in his lawsuit against the NCAA. Gonzaga: The Zags signed a distance runner of some note. EWU: New athletic director Lynn Hickey will make slightly more money than her predecessor. Jim Allen has the details of her five-year contract. Chiefs: The bantam draft was held yesterday and Spokane took a defenseman with its first pick. Bloomsday: It’s odd. My lilac bush has yet to bloom and my training for Sunday’s race has yet to start. I begin when the blooms pop, so I guess I am skipping it this year. Not so for Dave Nichols, who has the coverage of the pre-race press conference. Preps: It was your typical busy May Thursday, what with all the playoffs going on. We can pass along roundups from baseball, soccer, and softball. … Speaking of softball, the WIAA is getting back in the slowpitch business. … Greg Lee has a feature on a Shadle Park sprinter, Tony Pizzillo. Mariners: Of course the Ichiro news dominated the day. Until Wade LeBlanc took the mound against the A’s. 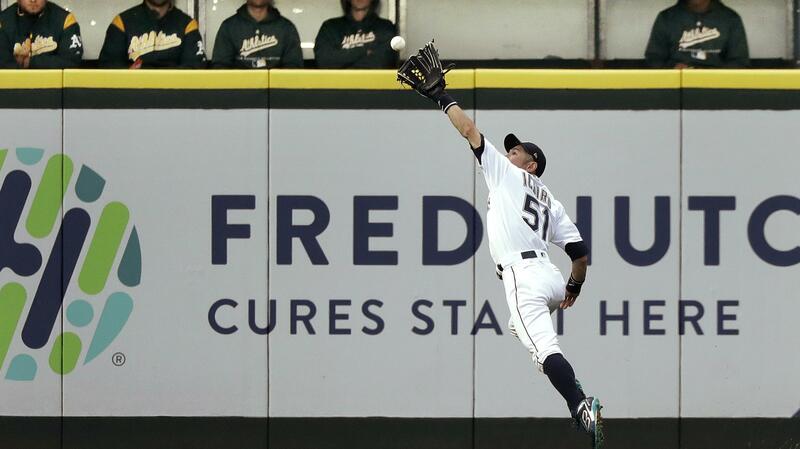 And the Mariners went on to win, 4-1, thanks in large part to the bullpen. … James Paxton was great Wednesday night. Seahawks: Are the Hawks better? … Maybe they will be depending on how the roster shakes out. Published: May 4, 2018, 8:23 a.m.